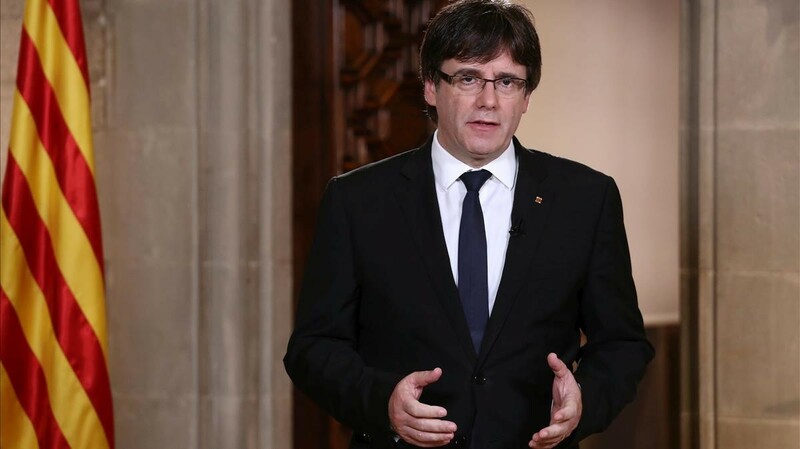 The former head of the Catalan government Carles Puigdemont on Sunday, November 5, voluntarily came to the police station. This is reported by the Belgian television channel VRT. According to the source of the channel, Puigdemont and four runaway representatives of his government surrendered to the police of Brussels. Belgian law enforcement agencies announced a press conference to be held on Sunday on the fact of voluntary appeal of the former Catalan leader to the police. We recall, on November 3, the Spanish court issued a European warrant for the arrest of Puigdemont and former members of his cabinet. Catalan leader himself is also currently in Belgium and announced his readiness to participate in the early elections in Catalonia. The next day, he announced his readiness to cooperate with the Belgian authorities after issuing an arrest warrant. On October 1, a referendum on independence was held in Catalonia. According to the results, 90.18% voted for independence with 43% turnout. The Spanish government did not recognize the de facto declaration of independence by Catalonia. On October 27, the Catalan government voted to declare independence from Spain. After this, the Senate of Spain introduced Art. 155 of the Constitution of the country, suspending self-government in Catalonia. Parliament of Catalonia was dissolved and new elections were announced. After that, the former chairman of Catalonia Carles Puigdemont left for Belgium together with five members of his government. The Belgian authorities said that he could be stay the territory of the country, like any citizen of a European country.